Bryn Mawr, MN – Week eight, the most highly anticipated week of the season, featured slip and slide day and turned out to offer all the wet and wild fun Kick This and Ball so Hard asked for. 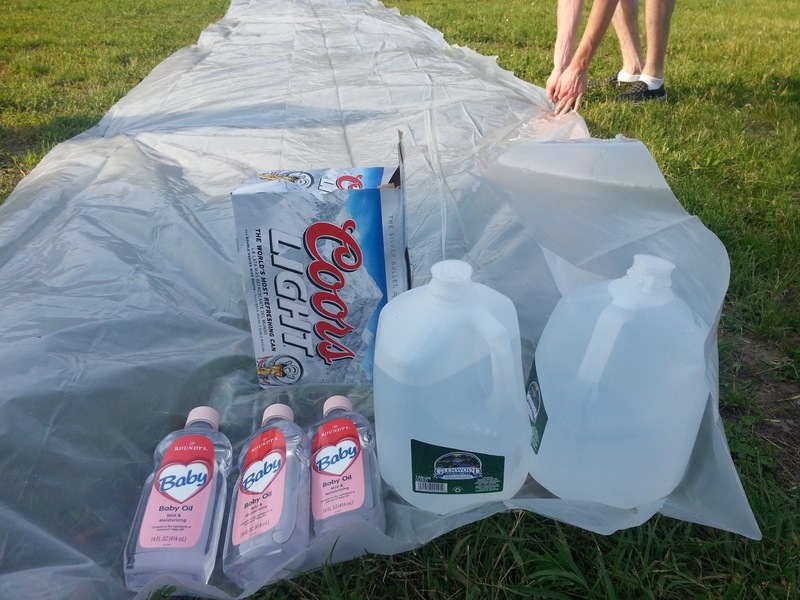 Following brief set up of plastic down the third base line, four gallons of water, and 16 oz of baby oil, the stage was set. Ball so Hard grabbed an early lead in the top of the first with a non slip and slide run, earning the squad one point. Kick This posted four of their own in the bottom half of the frame to take the lead. With the ball starting to get a little slippery, the defense for each started to slip a little of its own. Ball so Hard put up a big eight run second with four sliding runs and four mouth fulls of watering baby oil. Kick This charged back with another four spot in the bottom half of the second to push the score to 9-8. Zeros in the 3rd inning by each team set the stage for wild finish in the final frame. Ball so Hard scored another two in the top to push their lead to three runs. Kick This didn’t care and came out to grab four of their own and take the ‘W’ by just one run. With the regular season complete, Ball so Hard earned a spot in the playoffs… playoffs!!! We shouldn’t even be talkin’ about playoffs. Ball so Hard was edged in game one which completed the season for the young, inspired, and very short handed squad as many ball so harders had pressing plans on the sunny June Saturday morning. At the end of the season banquet, Ball so Hard came together to celebrate a successful first season in the WAKA. Fun was had, balls were kicked, balls were caught, wins were earned, losses occurred but overall the Ball so Hard award on the season went to entire team for tremendous effort all season.